Fort Collins Therapist: Brittany White - Therapist 80525. Send A Message To Brittany. Life can often be a struggle with emotions and difficulties that are unexpected and hard to manage. Often, we come to a roadblock and do not know our next step. Starting down the path of healing with a trained therapist is a crucial first step. Brittany White believes that we are all worth the time and effort to change our lives for the better and gain the tools we need to make that first step happen. Whether you are seeking counseling for individual development, career counseling, life coaching, restoring meaning to life, new/empty nest parenting, male and female role issue, stress, anxiety, depression, stress related disorders, trauma and abuse recovery, or self-esteem/self-worth issues, Brittany can help. In addition, she works with adolescents and teens battling anxiety, depression, ADHD, family concerns, and school performance and behavior issues. Brittany understands that sometimes the dilemmas we face hold us back from connecting with our true self, and enjoying the life we are meant to have. Through honesty, authenticity, warmth, and understanding, she provides you with a trustworthy space so you can move towards seeing the freedom beyond the hopelessness. With the proper support and the right tools, Brittany walks with you through this journey until you can see the amazing growth that occurs along the way. Brittany White is a National Certified Counselor. She has a Master of Arts Degree in Clinical Counseling and a Bachelor of Arts in Psychology from the University of Northern Colorado. She is a Licensed Professional Counselor (LPC) and is a certified Clinical Trauma Professional. 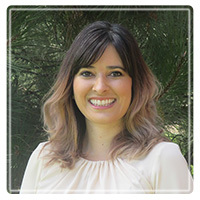 Brittany utilizes techniques from cognitive behavioral therapy, rational emotive behavioral therapy, existential therapy, EMDR, and strength based therapy. Counseling provides a safe and supportive therapeutic space to assist you in making a change for the better. Brittany has a deep passion for helping people make life purposeful and meaningful. She believes that all people have the ability to change their lives for the better. Brittany has extensive experience with women recovering from trauma and abuse, including domestic violence. Also, she has provided experiential play therapy for children of all ages in a variety of settings and circumstances, including recovery from physical, sexual, and emotional abuse. In addition, she has experience with adolescents and families struggling with parenting, boundaries, and communication issues. You are stronger than you think you are, and Brittany is here to help you tap into those strengths, even when all hope feels lost. Contact Brittany today to schedule your free counseling consultation.